If you have a Facebook Fan Page setup for your business because it is all the hype right now, what do you exactly do with it? Will it really provide value to your business? Engaging with targeted audiences is a key part of any social media marketing initiative, and your Facebook Fan page is no different. The easy part of it is setting the page up. Once you have your Fan page, you need to continually give people a reason to return to your page and keep them coming back. Here are a couple of tips you can use to help you with that process. Never only talk about yourself: There are many businesses that uses Fan pages to only broadcast information about their products and services. Facebook is a two way channel where others can respond to anything you broadcast. Show that you value the views of your followers and never only use your Fan page to promote yourself. Increase the engagement by posting relevant information that your network will find interesting or ask them questions. People need a reason to interact with you, be sure to give it to them. 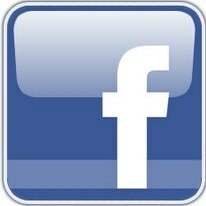 Use all available media: Facebook is rich in multimedia and you can take advantage of this on your page. Mix up your updates with links, videos and images. This will keep things interesting and it adds variety to your updates. Be yourself: On your Fan Page it doesn’t have to be just about business all the time. Yes, of course you want business out of it, but most often, the popular and most commented on posts are the ones where you have shared something personal, or something of value. This can include a completely unrelated business news story or something funny. Be creative and use these type of posts to let others know that you are a real person and that your business can help them.